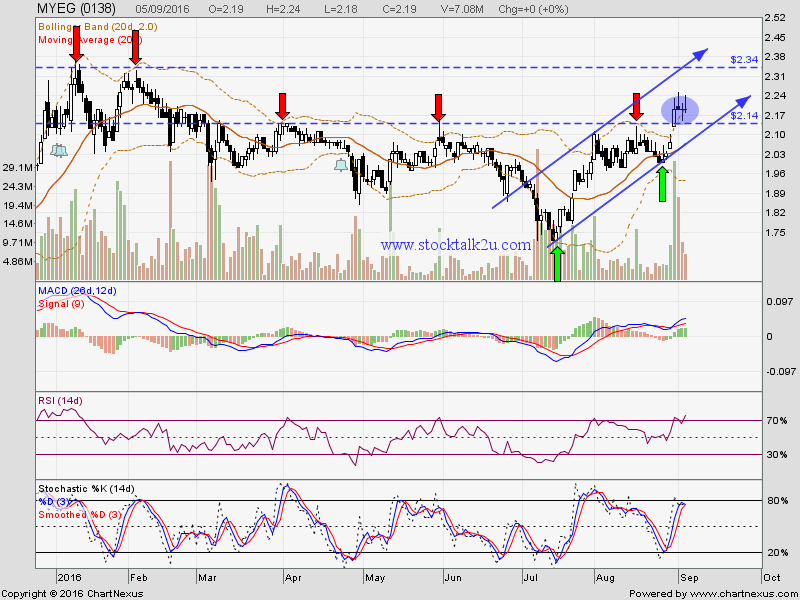 MYEG succeed breakout RM2.14 resistance level. 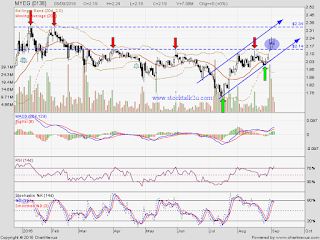 Will it retest & breakout next resistance RM2.34 level ? Subsequent resistance @ RM2.30 level. 29 August 2016 , MYEG proposed one (1) Bonus Share for every two (2) existing MYEG Shares held on an entitlement date to be determined later ("Proposed Bonus Issue"). Based on pass history, bonus issue held on Oct / Dec.
Upcoming budget 2017 & upcoming dividend also potential boost the share price..